"Congratulations my loves. It's a boy," read Alia Bhatt's post on her Instagram stories for new parents Shahid Kapoor and Mira Rajput. Shahid and Mira welcomed a baby boy on Wednesday (September 5) in Mumbai. This is the couple's second child. Their daughter Misha is two-years-old. Congratulatory messages have been pouring in for Shahid and Mira. And, apart from Alia, with whom Shahid co-starred in Udta Punjab and Shaandaar, celebs like Preity Zinta, Pragya Yadav (wife of Abhishek Kapoor), Ashish Chowdhry, TV actor Karanvir Bohra and others have posted their best wishes on social media. "Congratulations, Shahid Kapoor and Mira on the new addition to the family. So happy for both of you. Loads of love, happiness and diapers," Preity tweeted. Shahid Kapoor and Mira Rajput, here are the wishes from Alia Bhatt and Preity Zinta. Pragya Yadav was perhaps one of the first celebs to confirm about the baby's arrival. On Instagram, she shared a picture from Mira's baby shower and wrote, "Biggest congratulations to all of you. My darling Mira, it's been a beautiful journey and I'm so happy I got to share it with you, it's been special. Love, love and more love." Pragya and Abhishek Kapoor also welcomed a baby boy last week. Here's what the others posted. Oyyyeee... Congratulations my bro @shahidkapoor and #MiraRajput for such amazing family planning!! #Misha's gonna love her baby brother.. Elder sisters are the best.. My love to your beautiful lil' family.. God bless.. Enjoy the riot!!! Shahid Kapoor and Mira Rajput married in Delhi in July 2015. Misha was born to them in August 2016. Pictures of the new baby is awaited. Batti Gul Meter Chalu is Shahid's next film. 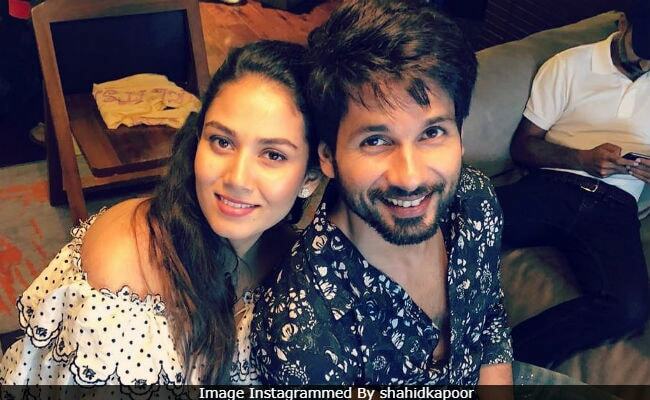 Shahid Kapoor and Mira Rajput, congratulations again!